In 2015, Engicon integrated G&G’s intellectual property, engineering and operational expertise in its organization. 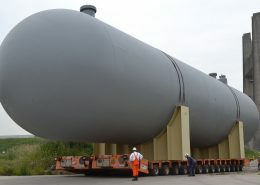 Engicon now markets its pressure vessel activities within the global oil & gas industry under the Geldof and G&G brand. 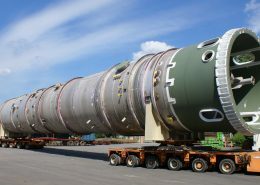 Engicon nv (Geldof/G&G) is a leading company in the engineering and fabrication of pressure vessels. Geldof/G&G has established a proud track record of successful realisations for the world’s leading principals and contractors servicing the global oil & gas, petrochemical and bulk chemical industries. 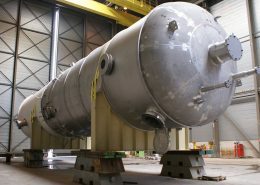 Engicon nv (Geldof/G&G) offers a wide range of engineered-to-order vessels for the processing, storage and transport of bulk liquids and gases. Geldof/G&G has earned a strong reputation as a supplier of fully dressed columns including the installation of internals, piping, ladders and platforms, insulation and E&I works. Special tools and well-defined procedures have been implemented to guarantee the fulfillment of specific demands as they relate to the processing of special alloys for the manufacturing of reactors or the realization of complete reactor head replacements. 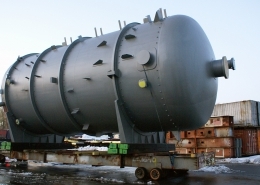 Geldof/G&G designs and fabricates pressure vessels such as process drums for various applications, gas storage bullets and spheres and cargo tanks according to the specified code and unique requirements set by our clients. Geldof/G&G has segregated fabrication facilities for carbon and stainless steel vessels and also the capability of applying temperature grades, special alloys and clad materials are applied. Geldof/G&G also offers complementary services such as logistics and site erection supervision. When dimensions become critical to enable one-piece delivery, we supply precisely prefabricated plates or modules and finish the assembly at the job site. 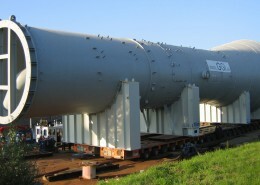 Geldof/G&G maintains certifications such as ASME VIII Div. 1 & 2, AD HP0, NB registration, NB R stamp and process certifications such as EN ISO 3834-2, EN 1090, EN 10204 3.1. Geldof/G&G implements an integrated management system that meets VCA-P, ISO 9001, ISO 14001 and OHSAS 18001.